I bought this for my daughter and it looks great on her! Fits to a tee! Awesome! Cute Dress, perfect fit. I love wearing it. It's AMAZING! Came just in time for my Birthday the next day! Thank you Dress Lily! Sorry, there is no Medium size in black. Q:Hi I wanted to know when will the this dress be available in Medium size ? We are sorry this item in size m is out of stock. Q:Hi! Before i order i just want to make sure the exact color of the dress. 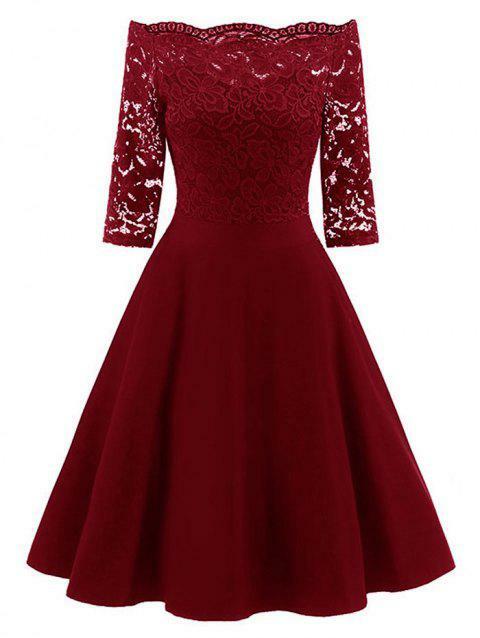 Is it burgundy how it looks in the picture? The color of the item is wine red, we sell the item as it shows on our website. We aim to provide an extensive range of high quality, trendy fashion clothing and accessories to our customers.We have a 30 day warranty.